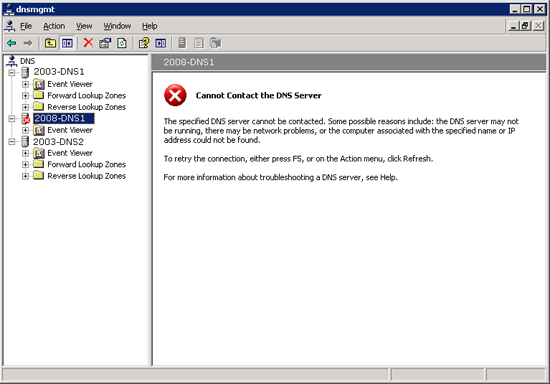 If you open the DNS Management console on a server running an older OS than 2008 R2, then attempt to connect to a 2008 R2 DNS Server you will see this error. 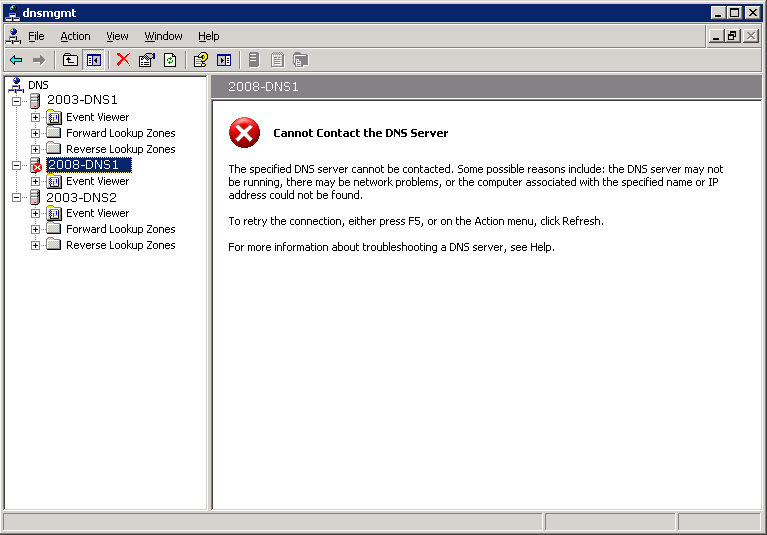 The specified DNS server cannot be contacted. Some possible reasons include; the DNS server may not be running, there may be network problems, or the computer associated with the specified name or IP address could not be found. To retry connection, either press F5. or on the Action menu, click refresh. 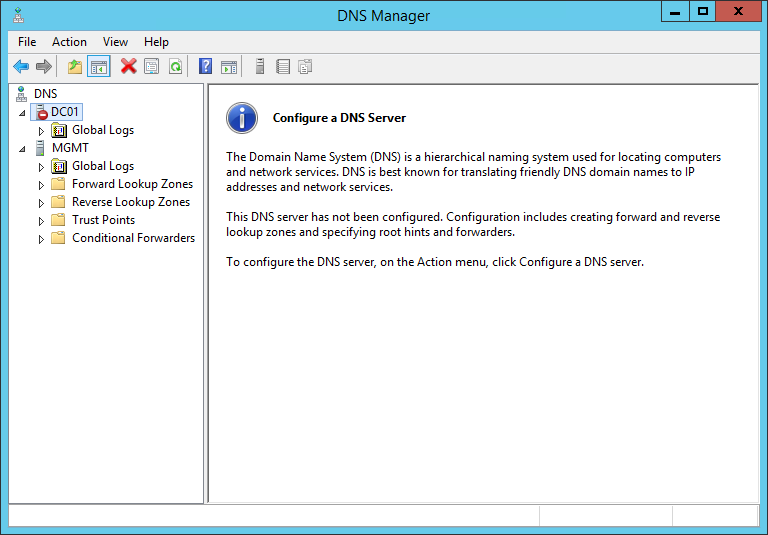 For more information about troubleshooting a DNS server, see help. This is normal, 2008 R2 introduced a more secure DNS Management authentication system to prevent “Man in the middle DNS attacks” that had been exploited in earlier versions of Windows. The correct way to approach this problem is to accept it, your 2008 R2 Servers are more secure, if you need to manage them do so from the DNS management console on the 2008 R2 server itself. Or install the RSAT tools on a client machine. You can also change the way it works so you can see and manage it from an older version of Windows. (Note: Be advised Microsoft recommend you do not do this, they turned this on for a reason). 1. Launch a command window (Right click and select run as administrator, or select the cmd icon and press CTRL+SHIFT+ENTER). 2. Execute the following four commands. Note: If you see an Access Denied error, you are probably NOT running the command window as an administrator. 3. You should now be able to connect to and manage the 2008 R2 DNS Server from an older Windows OS DNS Management console.